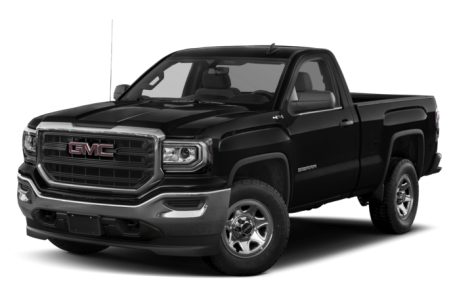 The 2018 GMC Sierra 1500 is a popular full-size pickup truck that is based on the same platform as the Chevrolet Silverado 1500. It competes with the Ford F-150, RAM 1500, and Toyota Tundra. The Sierra comes in a regular-cab, double-cab, and crew-cab bodystyles. Cargo-box lengths range from 5 feet 8 inches to 8 feet. Four trims are available: the base model, SLE, SLT, and Denali.